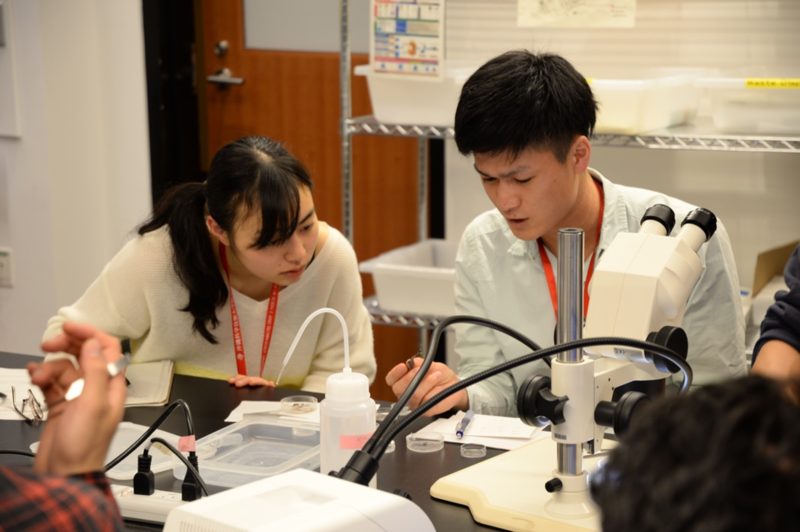 Every year OIST hosts the Science Challenge, which is organized by the Graduate School as an opportunity for Japanese undergraduate students to explore scientific career options. 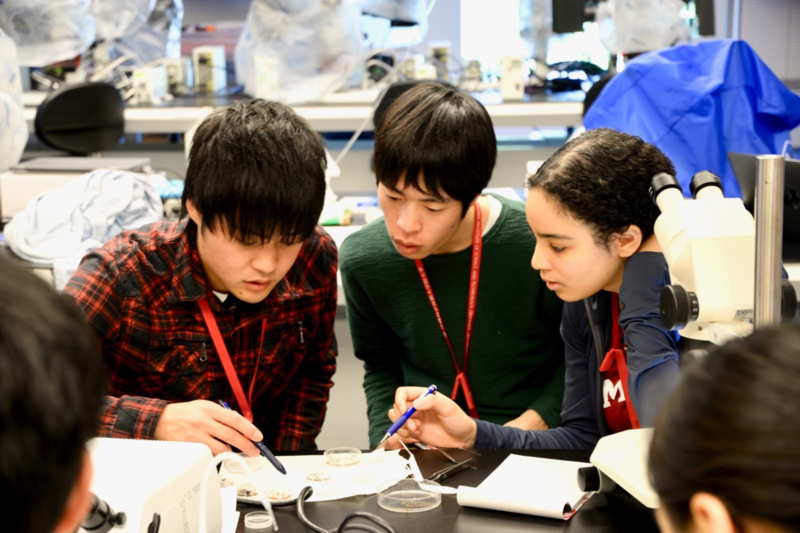 Over the course of a few days the students participate in a number of activities that focus on the diversity of scientific paths and introduce ways to develop the international communication skills necessary for success. 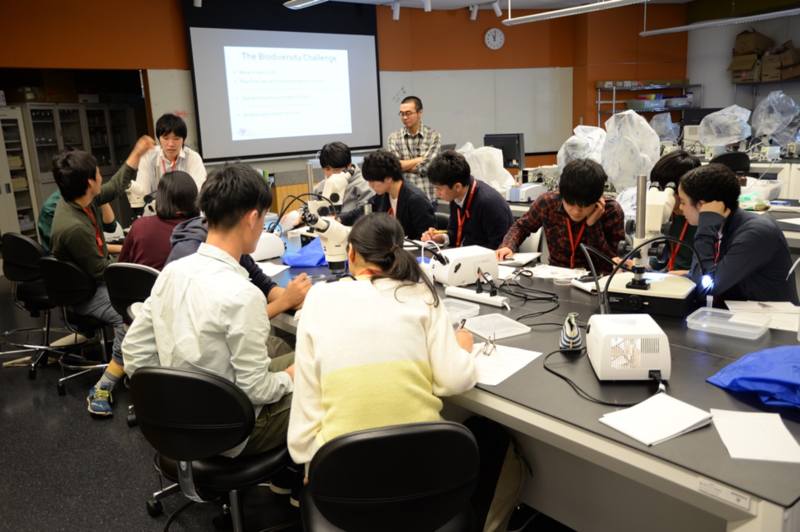 The Biodiversity and Biocomplexity Unit organized a hands-on activity for the 2018 science challenge. Twelve students signed up, making the “Measuring Biodiversity” activity the most popular at OIST for the second year in a row. The goal of the activity was to quantify the diversity of insects in a vial given a short period of time and no taxonomic expertise. This year’s students were really enthusiastic about using their observations to quantify biodiversity, and had some great ideas about how to do this at scale in the future. Nick Friedman, Takuma Yoshida, Ayumi Inoguchi, Adam Khalife, and Georg Fischer helped out with the activity.